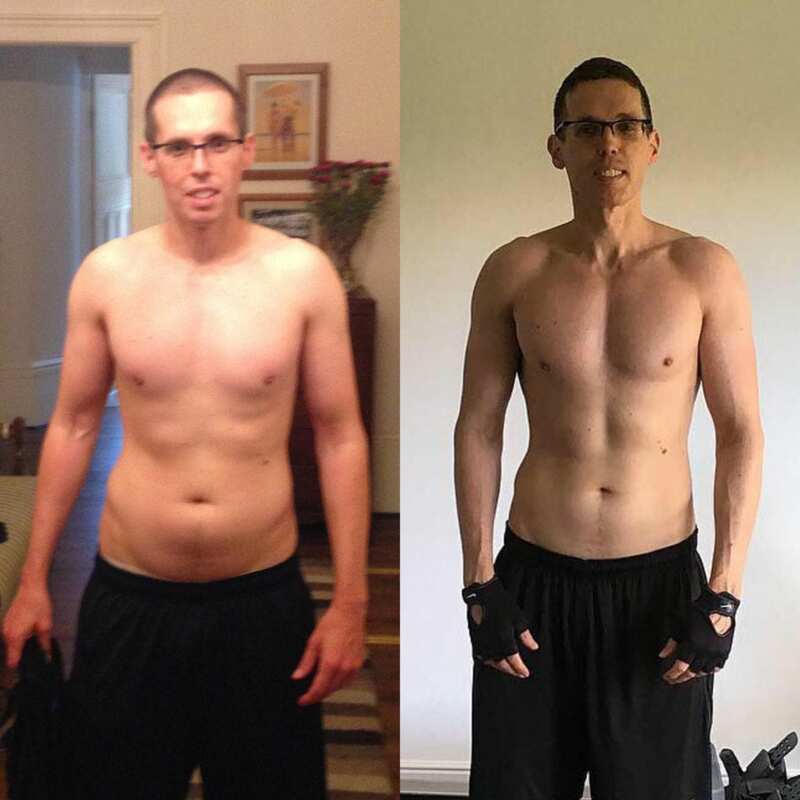 In this post I thought it would be cool to share what we’ve done, so that you can apply the tips to your own training when it comes to building muscle/losing fat simultaneously. 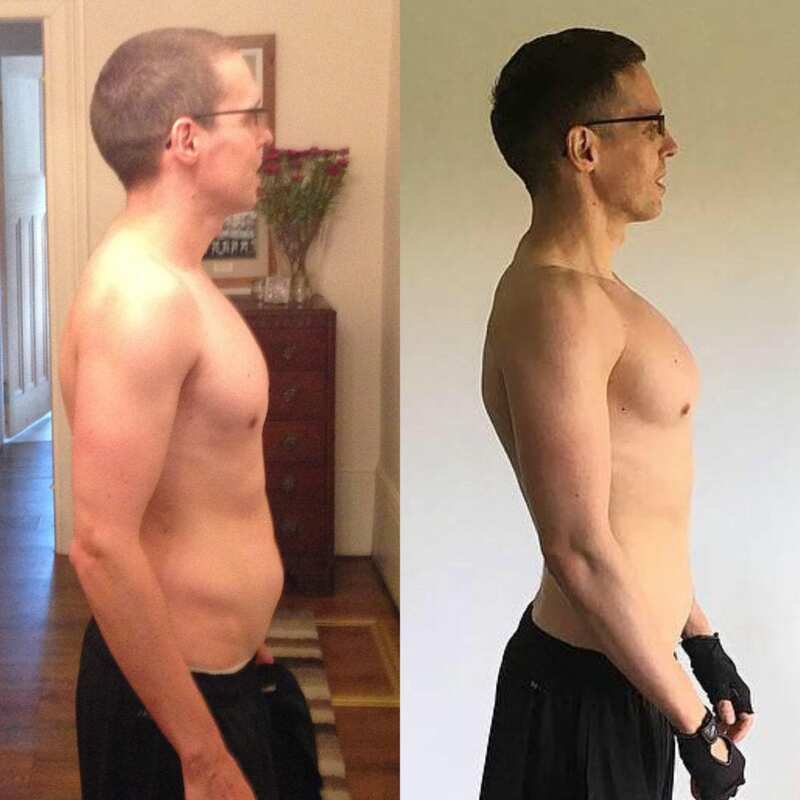 Lot’s of people say that you can’t build muscle and lose fat at the same time but you can – I wrote a post last week which explains how to do just this – read post here. Every session we’ve focused on a bunch of compound lifts, for example exercises like the DB bench press, incline DB row, pull ups, push ups, DB clean & press, and other exercises which hit multiple muscle groups all at once. That means over 10 weeks he’s increased his total pull ups in each session from 15 to 60 (45 extra reps a session), in other words improving his overall training volume by 4x the amount compared to when he started. We’ve also done this on other exercises for example the flat DB bench press, where Graham started on 15kg and is now on to 25kg! It’s all about keeping in the same exercises and getting better week in week out. There’s still lots of variety in the sessions to keep them fun and interesting. The variety has mainly come from changing the exercise positions for example: one week doing a close grip pull, the next week doing a wide grip pull up, or one week doing a flat DB press, the next week doing an incline DB press. 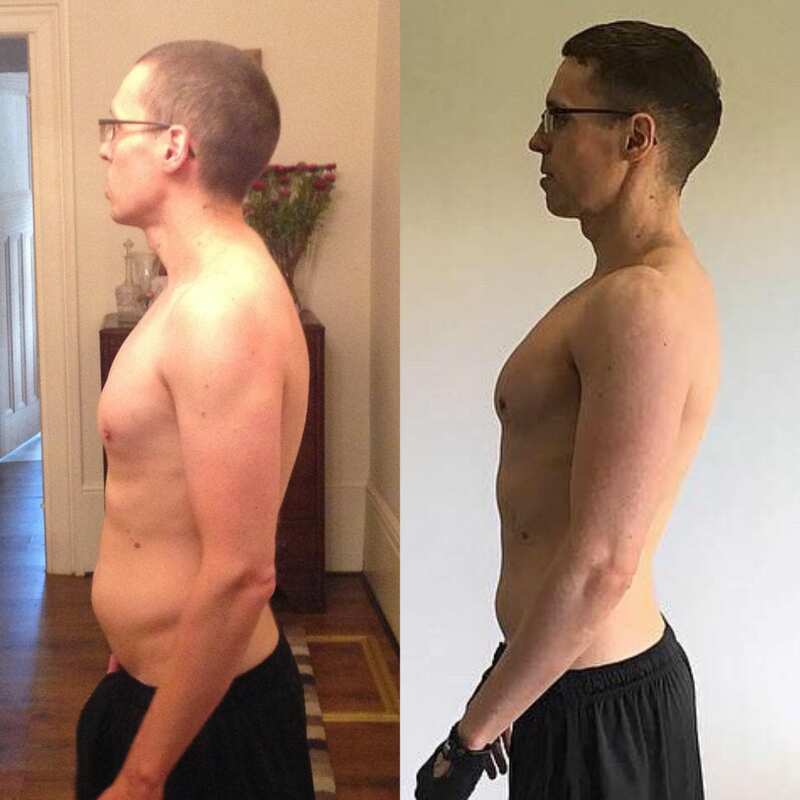 Alongside Grahams personal training sessions with LEP Fitness which he attends twice per week, he also jogs to at least 1 personal training session per week (approx 25 minute jog each way – so 50 minutes of running) he also goes for a run on the weekend or midweek if he can fit it in around work. 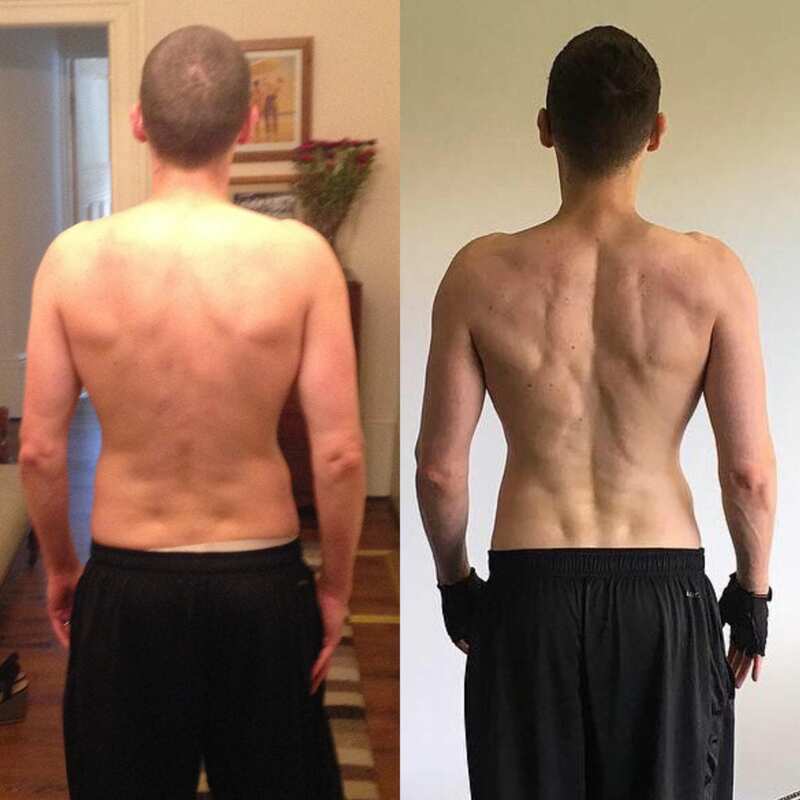 The cardio aspect has allowed him to burn more calories (fat loss) and build up his fitness, so that he can train more effectively in weight training sessions with me, for example to do 20 pull ups not only requires very good upper body strength but also a good level of cardiovascular fitness as the set takes 60s! We would usually do the cardio at the beginning to increase heart rate. I’m a big fan of HIIT training because it doesn’t take very long to complete, it builds good anaerobic/aerobic fitness and burns a decent amount of calories which is great for fat loss. I always talk about consistency. Most people want to know the secret to success when it comes to achieving a fantastic body transformation but the reality is that there aren’t any secrets, it’s about having a tailored plan of action, and following that plan consistently – not for 1-2 weeks but for at least 3 months! Graham is extremely consistent, always giving the best he has to offer each and every session, he’s not afraid to work hard and put in the graft, going to uncomfortable places which has forced his body to grow stronger, leaner and fitter. Having a good plan of action and being consistent has meant Graham has achieved some phenomenal results.